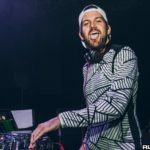 After playing host to some incredible artists on day two of Electric Zoo, the head honcho of Fool’s Gold finally stepped behind the tables of the packed Riverside Clubhouse. The tent featured 3D visuals on the massive LED screens across the entire stage, for those who had previously picked up special glasses earlier in the day. For those who hadn’t done so, the light show was still impressive and when paired with A-Trak’s deftness on the decks, the overall experience was something epic to behold. Mr. Macklovitch certainly enjoyed himself, and the crowd grooved right along with him. Although no one was aware that the festival would not have a day three, A-Trak’s set was a proper sendoff for day two, and the two days that Electric Zoo 2013 lasted. Here are some of the tracks that really stood out from his funky high-octane set.